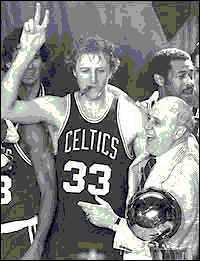 Larry Bird Rules the NBA! Thanks for the Memories, Larry Legend! Boston Globe: Thank you Larry! 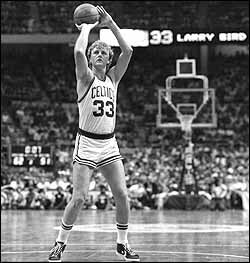 Larry 'Legend' Bird- the best ever! then was the Celtics summer camp. for the Celtics NBA Championship celebration. a Bruins, Patriots and Red Sox fan. most complete player to EVER play the game. be on the court with Larry and the Celtics. make me turn off a Red Sox playoff game. watch the Red Sox choke (again)on any day!